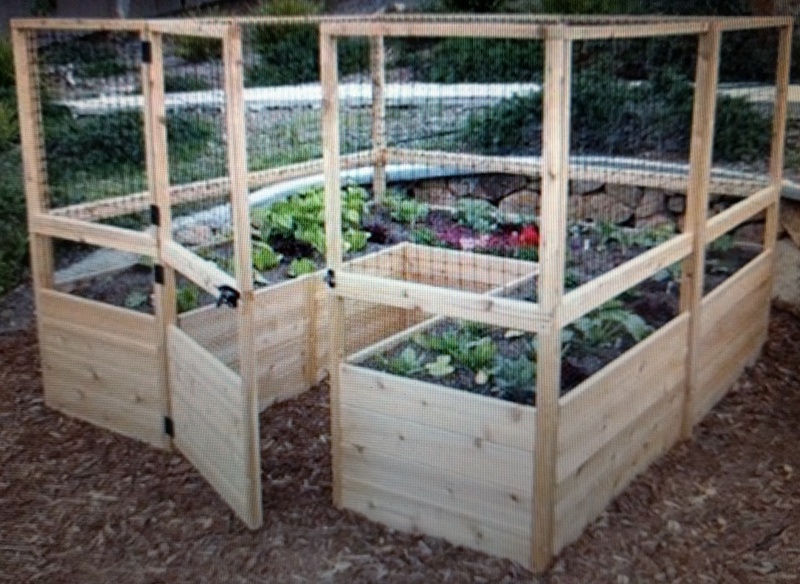 Grow vegetables outside without them being eaten by animals and pests. It is necessary to have mesh to keep out pests. Use window fly-screen. It is best to have the soil beds completely off the ground. No need to raise the area where you walk. Make the bed units modular and stand alone. A height of 2 feet is a good choice. Provide sticks that stick up from the back of the soil container. It is ok to use cottonwood (but not sure how may years it will last). 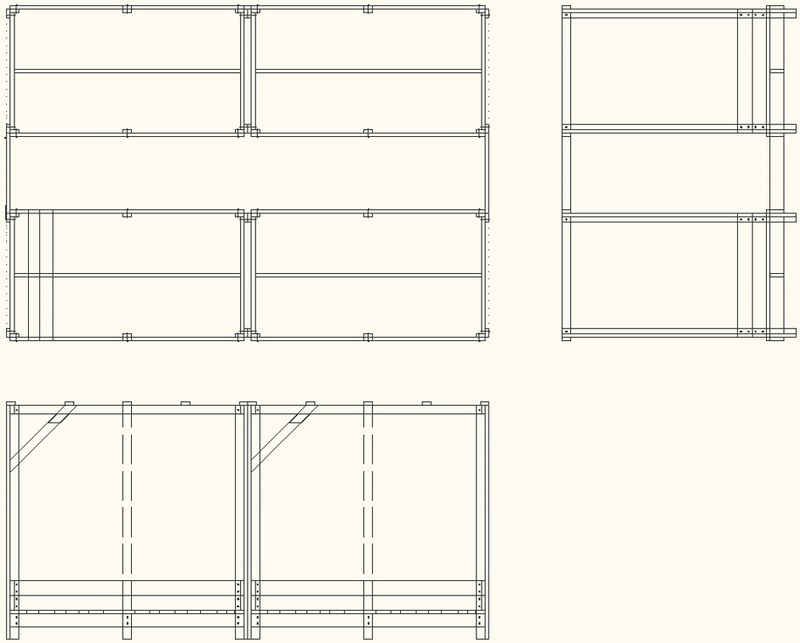 Make each enclosure just under 200 sqft to avoid needing a permit. It is good to grow flowers mixed in with your vegetables because the right flowers can help keep the bugs away and attract the desired insects that help with pollination. Basil, garlic, geraniums, marigolds, lavender, nasturtiums, petunias, rosemary, sage and thyme. Alyssum, bachelor’s button, cosmos and chamomile.